If you read as much articles about startups, growth and entrepreneurship as I do, it sometimes looks like starting an online company is the ultimate paradox. It has never been easier to start a company online, but it has also never been more difficult to attract users and gain initial traction. Every week I advise, meet and talk to multiple founders about their growth, business models and ways to gain more traction that could lead to sustainable growth. I still strongly believe that one of the most overlooked areas amongst startups is user retention. Please make sure your users are coming back and you retain them before you’re going to double down on marketing and sales to overcome the classic leaking funnel challenge. Since every startup is looking for (more) customers on a daily basis, the battle begins at the top of the funnel on the same channels. A lot of startups are doing Facebook Ads to promote their products and services, which makes it difficult (and expensive) to land new users in a sustainable way. The tricks used by Dropbox, AirBNB, Facebook etc. are not working for everyone, let alone the fact that most of these techniques are already status quo. Most of the existing and well known channels are saturated, so you need to be creative. One of the first things I advice most of my clients is that they need to find at least three different customer acquisition channels. Why? Well, if your business only depends on one, it’s simply not reliable. Let’s say you only land customers via SEO and Google changes their algorithm overnight? Out of business. You do Facebook Ads and it’s working great? Good for you, but I would be terrified if my business depends solely on Facebook – they are too powerful and can change everything they want without you even knowing. So, finding your own top three channels is important. Let me explain the differences between the three. The first channel needs to be your rockstar channel, it’s pure gold. It continually drives new users to your product/service, it’s steady, scalable and reliable. The second channel is always trying to become your rockstar and take over the first place. This is the one you try to optimize like hell, you want to help this channel become first, but it’s second for a reason. Maybe there’s not enough volume, maybe it isn’t brining you enough paying users or it’s simply more expensive than the first channel. Either way, you can still trust this channel and you take care of it like it’s your baby doll. 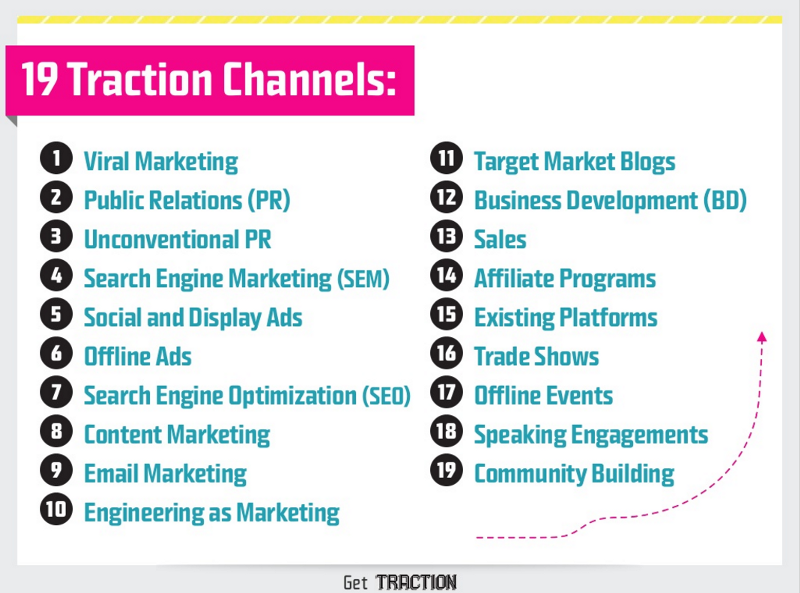 The third channel, and most startups don’t even have a third channel, is my favourite one of all three. It’s the one I preferably work on most as a Growth Hacker. Most of my work isn’t in the first two channels, only when they’re not steady enough or simply not existing yet. But I get high on the third one. The third channel is the one that changes all the time, the one you use for experimenting. If the first two channels drive enough user growth, the third gives you the freedom of experimenting. The third channel can be something for the long term, content marketing for example. It doesn’t drive (paying) users on the short term, blogging costs time, but quality always pays off in the long run. Another reason to keep your third channel flexible is the continuous flood of new opportunities. Instagram just launched the possibility to advertise on their platform to target Instagram users. This is a huge pool full of potential customers where you should dive in without a doubt. The same goes for Snapchat soon, when they open up their platform for advertisers to the masses. Another new possibility was launched by Google a couple of weeks ago. They now give (some) companies the ability to advertise in peoples Gmail inbox, this completely changes the game forever. If you’re one of the first to find successful ways to target new users, this can be a huge advantage. It’s still cheap, not saturated and people don’t expect ads (yet). Of course there are more examples of upcoming new possibilities or techniques. But if you develop a growth mindset and culture, you’re already half way. Stay creative, eager and explorative regarding new user growth. Channels change, marketing changes and people change. Never ever forget about your working existing channels, but never ever sit back, relax or think for a second things will stay the way they are. 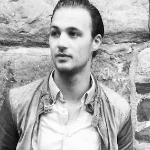 Bas Prass is a freelance growth hacker for startups and corporates. He’s currently working for ING, Philips and several startups in Amsterdam. This post was originally published on Medium.